I know, I know, visiting your dentist two to four times a year isn’t always convenient or looked forward to, but going to the dentist regularly is exactly what can prevent you from having a painful and unpleasant dental experience later. In dental care, prevention and education are key. Like other conditions and diseases of the body some are governed by genetics and environment, but a large part is also based on what we do to take care of ourselves. Unfortunately, dental care can often take a back seat to other things until the symptoms become urgent, painful, or even embarrassing. Don’t wait until a dental problem arises. Visiting your dentist at least two times a year can screen for oral cancer, issues with breath (an indicator of internal health), active decay, periodontal disease, orthodontic conditions, damaged teeth, etc. Finding a problem in its early stages will provide a wider variety of, and often cheaper, solutions to your oral conditions. The exam can also reveal other serious problems with health such as high blood pressure, diabetes, infections, and more. 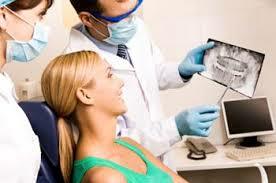 You should discuss with your dentist all medical history and any issues that you might be concerned about. Your dentist should be an integral part of your healthcare team just like your regular physician. In fact, you might even be seeing your dentist more often than your other healthcare providers. Prevention is the best thing you can do for your mouth and your body. The dental exam should consist of an oral cancer screening, x-rays, an exam by your hygienist which may include probing and periodontal charting, and an oral examination by your dentist. The exams are quick, but can reveal a lot about the state of your health. Dentists are here to help and to reduce any fears you may have about dental procedures. Be open and express your concerns. You’ll take care of yourself in the long run and be glad you took care of that cavity before it became a root canal (ouch! ).